Pure On Main provides you with essential services and products allowing you to live a healthier, more fulfilling, life. Pure On Main is one of the most exclusive and unique Health & Wellness Centers in the Upstate. We have been nominated as one of Greenville's Best Wellness Center for four consecutive years! Our goal is to help you find your way to feeling better, looking better and being Pure. From our services such as Colon Hydrotherapy, Massage Therapy, Ionic Foot Detox and Wellness Consulting, to our store filled with beneficial items for your body and soul, Pure On Main strives to provide you with what you need to become and to stay Pure. 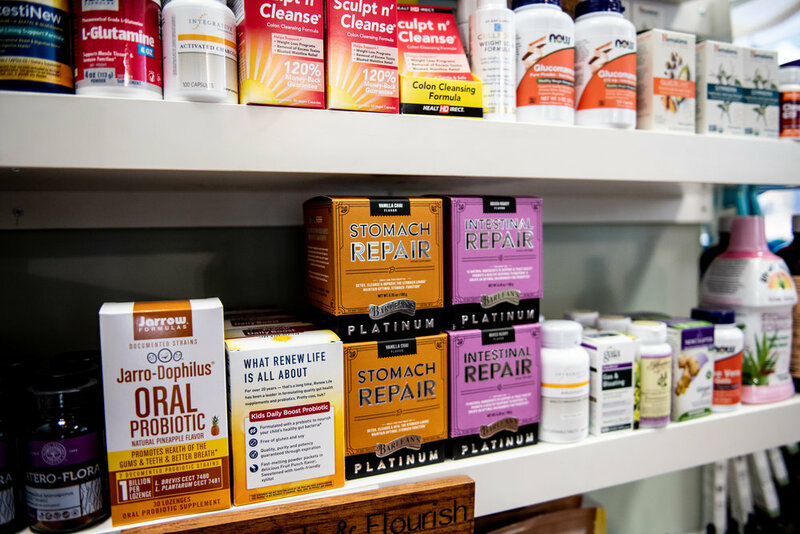 Pure On Main is proud to have a team of talented, professional practitioners to educate you and provide essentials you may need to live healthy, happy and Pure. Betsy Exton, owner and executive officer, has been creating this dream of helping others for over two decades. She was born in Upstate New York, and moved to the south to complete her Graduate degree in Education and Health. Attending Winthrop University, she realized that her mission in life was to help the community reach their potential when it came to their own health and happiness. She moved to Greenville 13 years ago to start spreading the idea of "detox to live". She started teaching the formula of "Good In, Bad Out", while working as a Colon Hydrotherapist at Creative Health downtown Main Street. After working with Terry Hall and her team, Betsy decided to adventure out and open Pure On Main! Betsy, although trained in many fields, chose the path of natural healing because of her own struggles with digestive issues. She spent many years searching for answers, doctor after doctor, to only be left with a sense of hopelessness. This was the beginning of the True path to Healing. She started cleansing, cleaning up her diet, increasing exercise and meditation practices. Betsy moved to Puerto Rico to work at the Ann Wigmore Institute in Puerto Rico. After training under some of the best Cleansing gurus in the field, she decided to get trained at the International Association Of Colon Hydrotherapy. Betsy has helped over 15,000 people on their path to optimal health and happiness. She has had the honor of working for the famous Tony Robbins for over 6 years. She has traveled to over 10 countries, assisting and supporting the cleaning of people from all over the world. As a Colon Hydrotherapist, she ranks among the very best. When Betsy started Pure On Main, her most important decision was deciding which practitioners, therapists, healers were going to join her team, so to provide only the best to Greenville and surrounding community. Today, clients drive from afar to come see the nutritional counselor, massage therapist and healing staff. The practitioners at Pure On Main take out the guesswork for you. Being a small, but mighty wellness center, we commit to only providing the very best knowledge, experience, and products on the market.